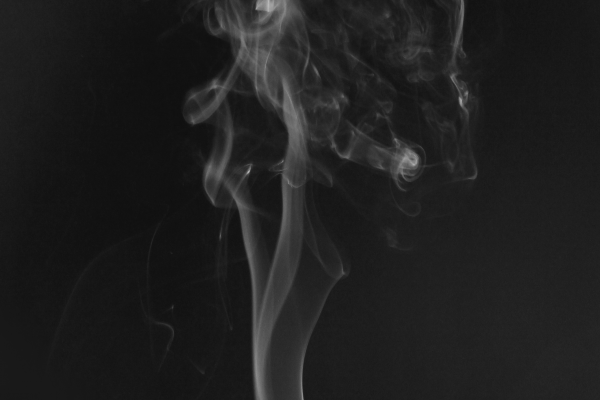 Buoyant plume from a cigar accelerates upward to transition from laminar to turbulent flow. Alka-Seltzer contains baking soda, which releases CO2 gas in water. 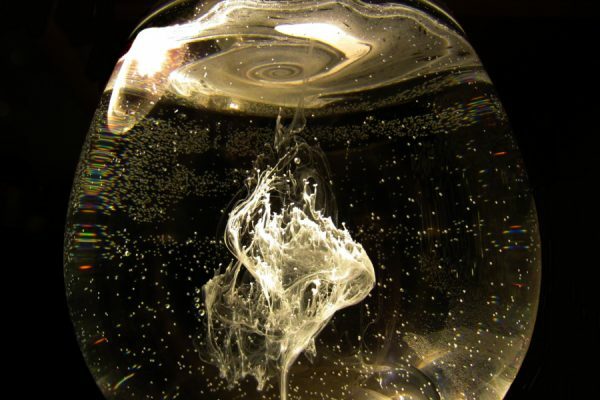 The bubbling phenomenon is known as effervescence. 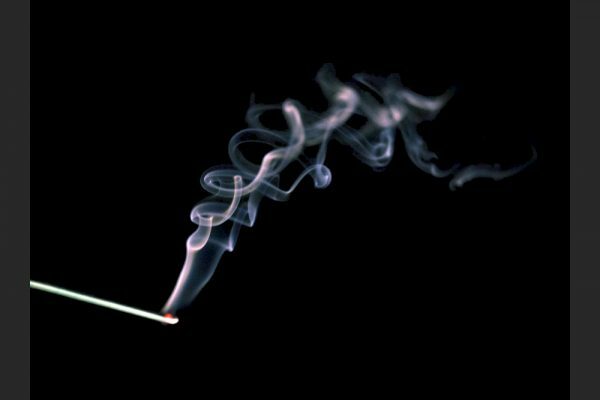 Smoke from an extinguished match rises slowly enough to remain laminar until it dissipates. 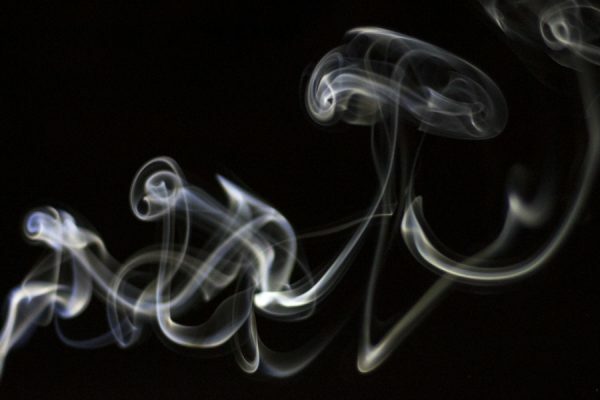 Buoyant smoke from an incense plume develops secondary plumes, headed by vortex rings. 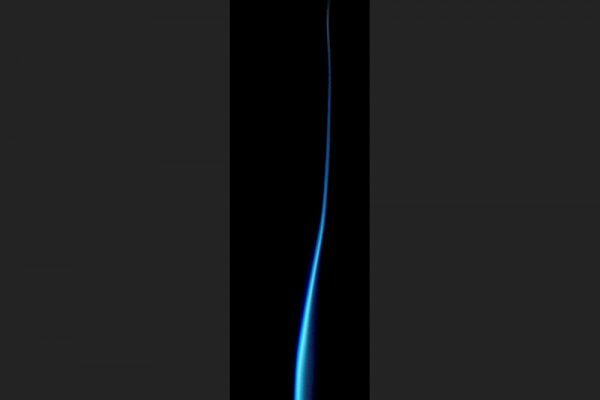 A buoyant incense smoke plume accelerates upward, triggering the Kelvin-Helmholtz instability. Glow stick fluid injected into water exhibits momentary quenching, possibly due to dispersal of the fluid. 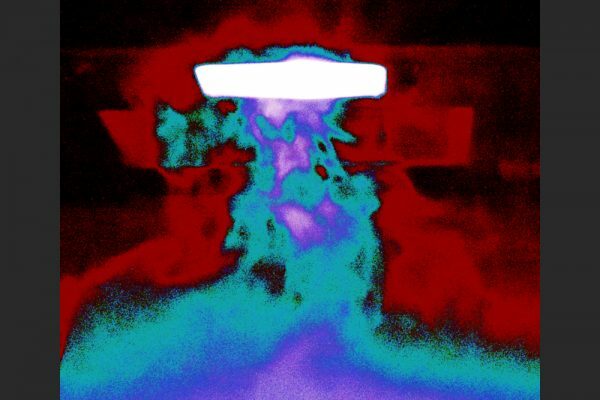 A droplet of whipping cream in water resurfaces after impact, creating capped columns in the process. 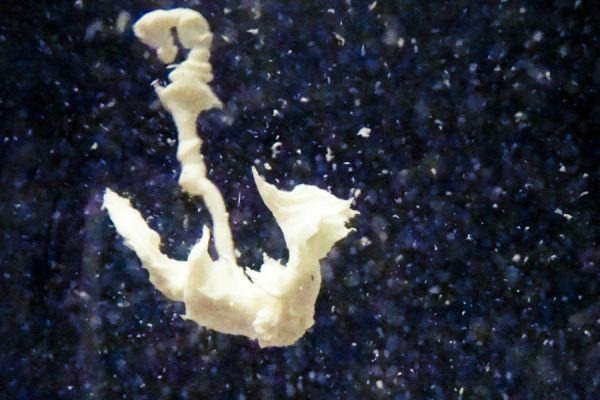 A stream of ranch dressing floats upward in a bowl of water, a short time after impact. 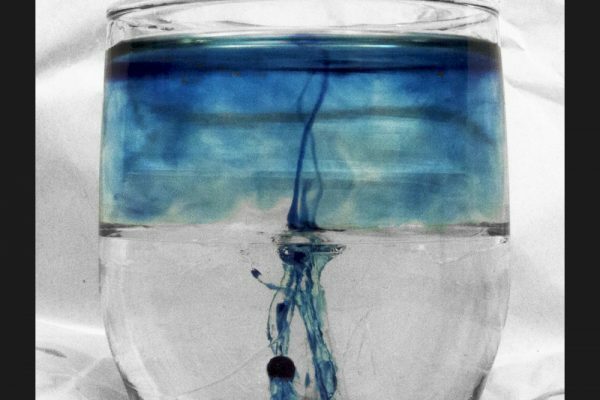 Dyed rubbing alcohol creeps upward through corn syrup, then mixes more rapidly with the water above.